Wasewagan Wedding on the River! Wasewagan is nestled in the beautiful majestic mountains near Big Bear, CA. 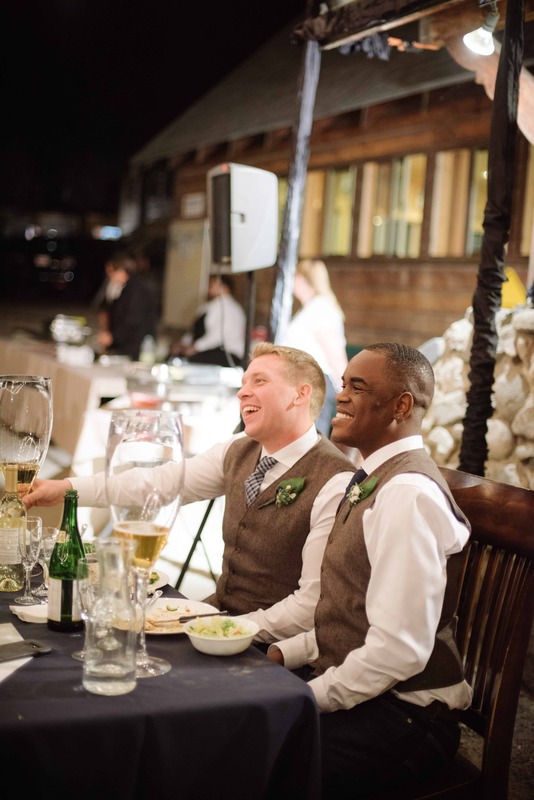 Your dream wedding destination provides a variety of romantic and secluded settings; among our towering pine and cedar trees, along side the melodic sounds of the Santa Ana River or inside our quaint and cozy rec hall are just a couple of breathtaking rustic and historical landmarks. 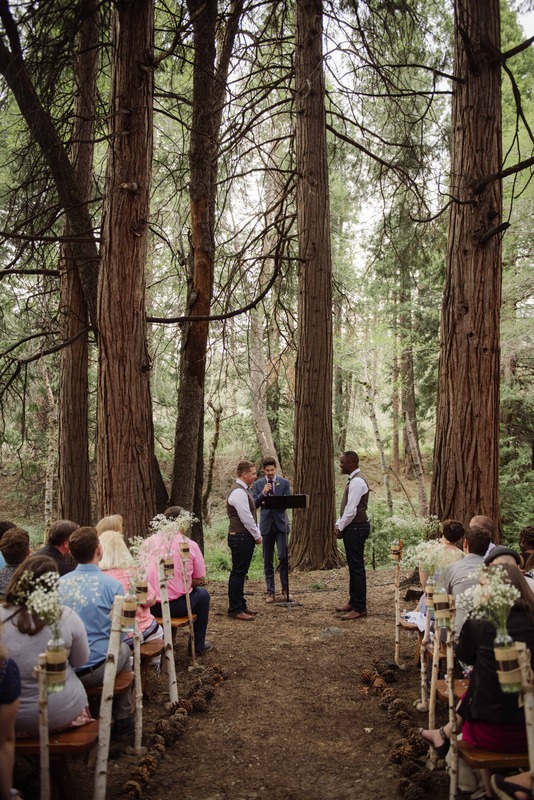 Enjoy our beautiful forest grounds, which offer peace & tranquility for your ceremony and reception, or our rustic rec hall that has a beautiful stone fireplace for an indoor event. Our cabins with bunk-beds range in size, and hold 10-22 guest. We have a couple cabins with restrooms inside, and the others are close by. Maximum capacity for indoor cabins is 150. Our delicious meals are served buffet style. We are happy to work with you, and personalize your menu. No out side catering permitted. So please consider Wasewagan for your wedding venue. Call us for more details and to discover all the amazing options Wasewagan has to offer.